Don't the evil poachers commandeer someone's Range Rover in the city at some point? Second and third thumbnail could be added, both cars are well visible. ... as suggested, thumbnails removed and vehicle listings added. Sunbar, i watched this a long ago and i hardly remember it, when the truck is carrying Joe and flips onto its side, could that be called chase? is the Blazer chasing them until it crashes? The Blazer is following the truck, when the poachers spot it they speed off trying to loose the SUV. The girl/female lead who is also in the truck, is thrown out by the poachers into the path of the following traffic which stops the Blazer. 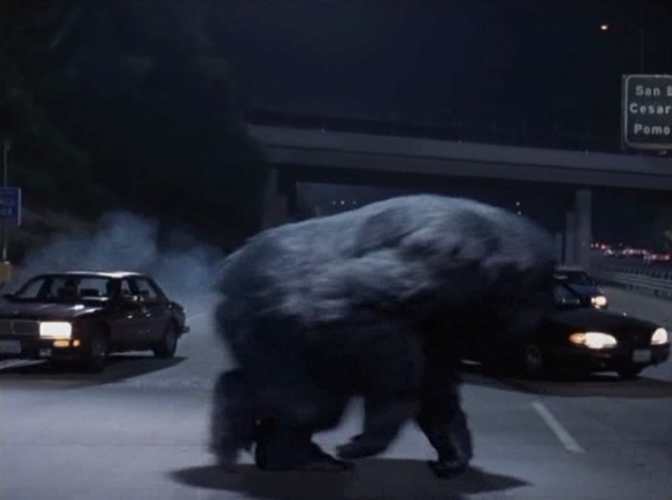 The gorilla starts to destroy the truck's trailer and eventually it turns on its side. 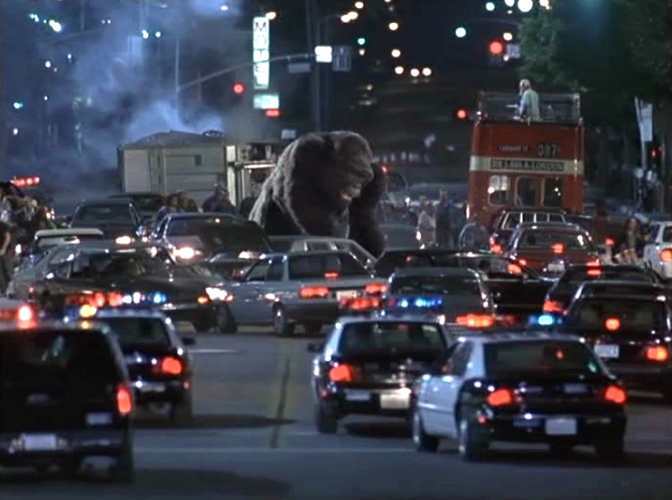 It then escapes and the poachers force the Range Rover's driver out and use it to try follow the gorilla. Hmmmm - seems like we're missing some history on this movie post. 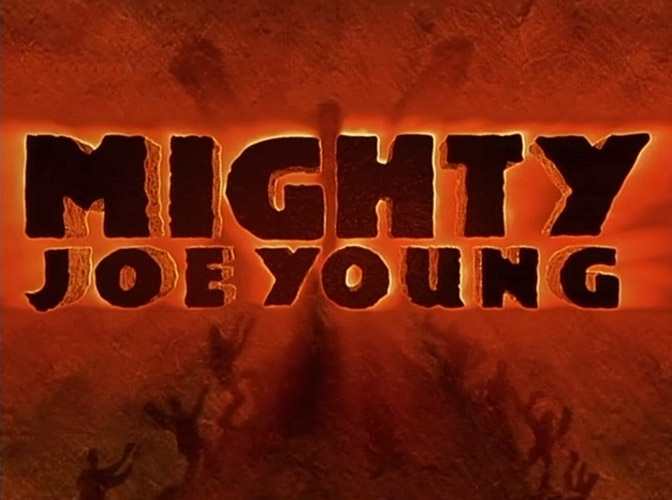 What about the original "MIGHTY JOE YOUNG" of RKO? It won an Academy Award in 1949. It also has some really great old vehicles and this great truck. 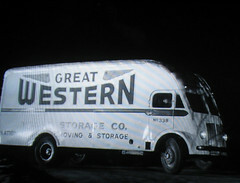 Hmmmmm- think I've seen this truck before dressed up in BEKINS guise - movie, "IMPACT" also 1949.